20 years ago this month, I got my “golden ticket” into Silicon Valley. I had graduated from Stanford Business School seven months earlier, but between an economy still slowly emerging from recession and having an undergraduate degree that was neither engineering nor computer science1, I struggled to find a full-time job at a tech company. But by December of 1993, I had managed to land a very promising contractor position at Silicon Graphics in the “low-end” division that had recently launched the company’s newest product, the Indy workstation. And that proved to be quite fortuitous in a number of ways. First off, Silicon Graphics was going to have its first-ever presence at MacWorld Expo a few weeks later, and, strangely, everyone seemed keen to let “the new guy” take the marketing lead, not just for the low-end division, but for the whole company. (This, despite the fact that I didn’t know any of our products in depth, hadn’t been to a MacWorld, and had never organized a major trade show presence.) There was a lot to do, with great urgency, and there would be a big spotlight on my effort. So, whether I succeeded or failed, the results would be spectacularly visible. Second, the guy who hired me as a contractor, the Indy product manager, was already eyeing his next role, a chance to participate in the birth of a new division within the company, something called Silicon Studio, that was setting out to create high-end authoring software for interactive multimedia content. But for his transfer to be gladly accepted, he had an obligation to find a back-fill for his current role. And so, when I managed to not screw up our debut at MacWorld2, I essentially got hired and promoted at the same time, stepping into the shoes of the guy who had signed me to a try-before-you-buy contract just weeks before! Soon, I would enthusiastically tell anyone who would listen that I was thrilled to have “the best job in Silicon Valley.” Why? Because I was the freakin’ product manager for the newest, sexiest, highest-volume product for what was clearly the hottest company in Silicon Valley. Yes, now but a dim memory, in 1994, Silicon Graphics was so hot that it was featured in a BusinessWeek cover story, breathlessly entitled “The Gee-Whiz Company”. So, there I was, no longer searching, having landed at the best possible place, with the best possible job. That alone was enough to make January 1994 a very memorable month, but there was one more door about to open for me. And it was to a far bigger opportunity – but one that would take me more than a few months to fully grasp. It started with an invitation in the mail to a party celebrating Wired magazine’s first anniversary. I was a Wired fanboy. I’d read every issue cover-to-cover, and even tried landing a job there a few months earlier. So I was thrilled to get an invite (likely only as a result of spending a lot of Silicon Graphics marketing dollars at MacWorld). The event was in San Francisco, in a huge brick warehouse on Third, near Wired’s headquarters in South Park. Back then there weren’t very many startups in San Francisco; that was yet to come, with Wired to serve as “ground zero” for the City’s emergent “dot-com” scene. 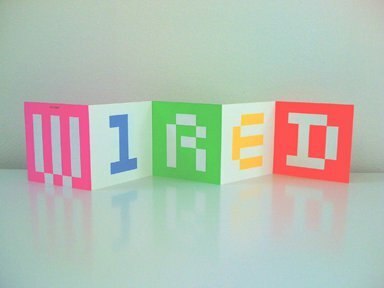 At a time when most people thought of technology as boring or nerdy, Wired managed to make computers, software, and networking seem as edgy as a new designer drug and as wild as a rave (at a time when those were a thing). So, dressed all in black, I put on my new Doc Martin boots, and headed out from my Lower Haight apartment, ready to rock. Looking back now, I can hardly distinguish that particular party from many others in the ‘90’s – dark setting, loud music, drinks, packed crowd. What I do vividly remember, though, is meeting Jonathan Steuer, who worked at Wired and had the tantalizing title of “Online Tsar”. I suspect he is the very first person I handed a business card with “Indy Product Manager” on it. Once he heard where I worked and what I worked on, Jonathan got very excited. “I want to use Indys as the web servers for a project I’m working on,” he said. Raster Masters, a team of performance artists from Silicon Graphics, put on the best demo of the week, in the McBean Theater. The live interactive graphics show was downright seamless. The performance, which featured algorithm technology developed recently at NASA, was an M.C. Escher-meets- Brian Eno-on-acid kinda thing. They should have required seat belts in the theater. Can’t wait for the rest of this series, well done. Hey … That was a fun blast from the past! SGI did ship the worlds first wysiwyg HTML editor, afaik…Cosmo Create! Indeed. Although it shipped first as “Web Magic” and was later renamed. I’m guessing the name chganed with it becoming open source? I remember the first time I heard about Blender, it was featured on UK TV, some sort of tech show. The presenter was like You can make 3D films with free software! Gave it a try but my computer was too crappy to handle it. Had dabbled on and off over the years and I’m now happy to say that now it’s one of my most valuable tools.Thank you Ton for making Blender what it is today and I hope one day you can be just as awesome, but in space.